It’s is something we have but we don’t always know we have, but other people do! It’s that moment when people suddenly take a step back from you, or all of a sudden they look away. Yes you have something nobody else wants… Bad breath!!! 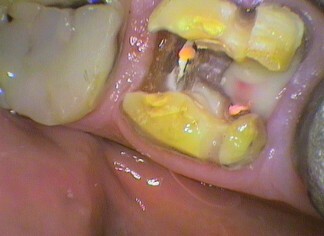 Halitosis is the clinical name. You can use this term when someone comments on your breathe. No, it’s not bad breathe; it’s halitosis. Make sure you keep a straight face and look knowledgeable. This only works until Dr Google finds Wikipedia, and then you are done for. The main sites in the body that causes bad breath are the mouth, the sinuses, the lungs and the stomach. 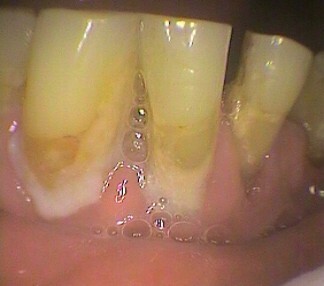 The treatment for halitosis will depend on the underlying cause. Smoking, dry mouth, dental infections and nasal or sinus infections can cause bad breath. Good oral hygiene including cleaning, flossing and tongue cleaning is important. Other treatments may include mouthwashes, nasal spray or antibiotics. However, some odours can indicate serious health issues and should not be ignored. 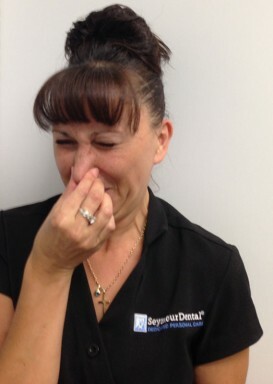 I would like to thank Roni (famous blog model) for her NOT liking halitosis pose! Enjoy the Halitosis blogs – causes and treatments – below.